Get us to the Formula Student race at the Silverstone track by helping us get a toolbox and team accommodation for the competition. Formula Student is an engineering competition where the brightest engineering students from across the globe design, manufacture and race a Formula style car against other universities on the tracks at Silverstone, with this year being the 20th anniversary of the event. It is the most established educational engineering competition and a testing ground for the next generation of world-class engineers. 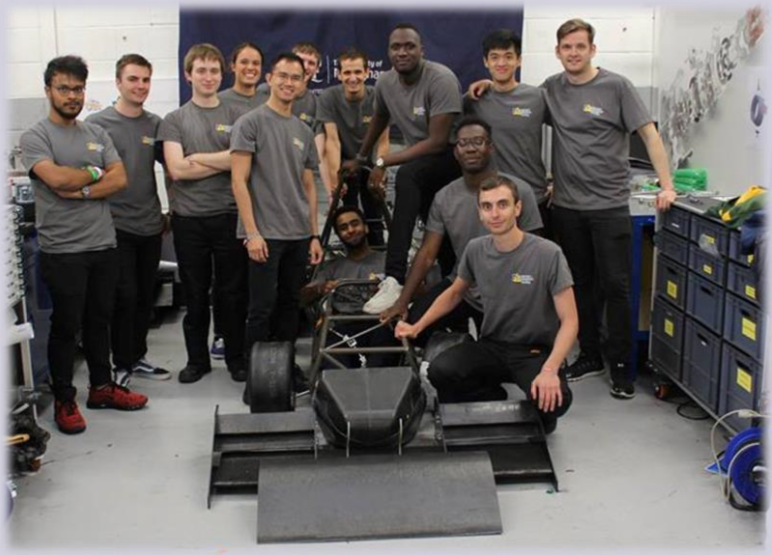 University of Nottingham Racing Team was formed only one year ago but with big ambition. In 2017, our electrically powered super bike became the 2nd fastest electric bike in the Isle of Man TT history! Our ambition is unparalleled and our team´s motivation and skills allow us to meet our high expectations. In the short period of time we have set up, we have quickly developed into a focused and resourceful group. We are convinced that we can be the best rookie team ever and we are ready to take on the the top contenders. We aim high. Our goal is to become the UK´s 1st Electric 4-wheel drive Formula Student car. Our approach is unique as we create out-of-the-box designs which showcase our team´s engineering capability and knowledge. 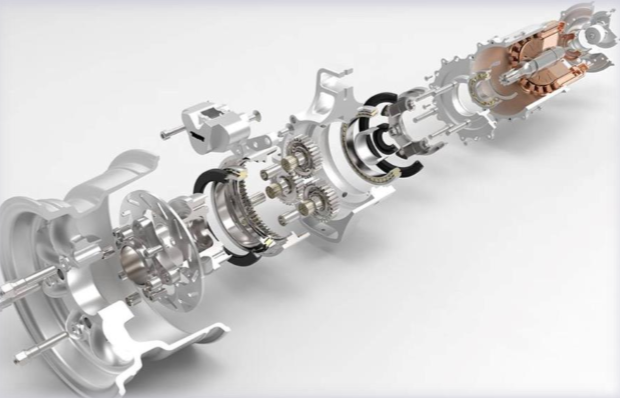 The unique planetary gearbox our students have designed received a lot of attention and praise at last year´s competition. Development for our 2018 competition vehicle began in September, 2017. With most major vehicle systems and components now in the final stages of design, the team is transitioning into manufacturing and assembly. With this year's "ground-up" mindset, your support is appreciated now more than ever ! We are developing our car with a very tight budget compared to our competitors. Many elements of the car are designed and built from scratch here at the University. But there are essential components that we need to buy in and other crucial expenses to get us to race at Silverstone, and these cost money. Every pound we raise through this campaign will help us pay for what we need, such as a tool box, van to transport our car to the tracks, and hotel expenses for the team to stay during the competition. Thanks to your contribution, it can move us towards our ultimate goal of being the fastest university on the planet ! Please donate to our project and help us put our hard work to the test on the race track! We also look forward to keeping all donors updated through our weekly Progress Update newsletters with "sneak peaks". Feel free to also contact us for other forms of support, too. This can come in various forms: parts and products, materials, services, sharing expertise and knowledge, funding for transport, accommodation, teamwear and any other costs. Our needs are wide and varied so we are certain that there is an opportunity to work with you. We would love to work with you on this fabulous project and we hope you will seize this opportunity. Please do not hesitate to contact us for more details. Bronze Donor Pack: 1) A poster of the completed car with a Thank You Note. 2) Your name gets to be featured on our Social Media Pages. Silver Donor Pack: 1) Your name printed on a battery pack. 2) A poster of the completed car with a Thank You note. 3) Your name featured on our social media pages. Gold Donor Pack: 1) Invited to the unveiling of the car. 2) A poster of the completed car and a Special Thank You certificate. 3) Your name printed on a battery pack. 4) Your name featured on our social media pages. Platinum Donor pack: 1) Your name signed on our car. 2) Invited to the unveiling of the car. 3) A spare part offered. 4) A poster of the competed car with a Special Thank You certificate. 5) Your name printed on a battery pack. 6) Your name featured on our social media page.